Do you need a crash course in Auto Insurance 101? Is it time for you to purchase a new auto insurance policy? Car accidents, some avoidable and others not, happen every day. The best way to prepare for an auto incident is to purchase auto insurance coverage. Selecting the best policy for your needs can be confusing, and that’s why it’s best to familiarize yourself with auto insurance. If you feel comfortable and would simply like to compare auto insurance quotes now then simply enter you zip code above. Compare free auto quotes from all the top insurance companies today! Auto insurance policies are purchased for a defined coverage period. At the time of purchase, policies can be paid in full or in monthly installments called insurance premiums. If an insured driver is involved in an automobile accident that incurs property or physical damages, then their insurance provider assumes most of the financial liability. Auto insurance companies offer different levels of coverage, and many allow consumers to customize their own policy. Auto insurance providers typically offer two types of coverage. The first type of coverage is liability coverage, which covers any bodily injury or property damage that an insured driver is responsible for. • Bodily injury is the term used when an insured driver is determined to be responsible for a third party’s injuries . • Property damage is incurred when an insured driver causes damage to a third party’s property. The second type of coverage that insurance providers offer is full coverage. Full coverage policies contain comprehensive, collision and liability limits. Some consumers think that full coverage policies encompass maximum coverage, but that is not the case, as most auto insurance companies allow full coverage policy limits to be customized, which can lower or increase insurance premiums. Purchasing a full coverage policy can be tricky because of all of the options and limits that are available. Auto insurance providers generally offer several choices for a deductible amount. A policy’s deductible is the out-of-pocket expense that a policyholder has to pay if a claim is filed. Deductible amounts differ by state, but common deductible amounts range from $100-$1000. Higher deductible rates result in lower monthly premiums and vice versa. • Accident risk: Are you comfortable driving your car? Do you drive a long commute? Do you frequently drive in traffic-congested areas? What is your driving history like? • Stability: What’s your cars age and condition? Does your income allow for extra monthly expenses? Do you have a positive credit history in case you need additional resources for emergency situations? If you’re prone to accidents or unsure about your financial stability, consider choosing a higher premium for a lower deductible amount. If you feel confident in your ability to avoid accidents and potential deductible costs aren’t an issue, think about choosing a higher deductible to pay a smaller premium. What Other Factors Can Affect the Price of My Insurance Premium? Insurance premiums are based on multiple factors. These factors can cause your premium to cost higher or lower than average. • Age: The lowest rates are available to drivers in the 40 to 50 age group. Because mature drivers are generally involved in fewer accidents than drivers that are younger than 25-years-old, younger drivers can expect to pay higher premiums. • Location: Insurance providers monitor local trends, such as the rate of accidents, vehicle repair expenses and number of car thefts. Consumers that live in larger cities tend to have higher insurance rates. Rates are typically lower for consumers that live in suburbs and avoid driving on highways. • Driving record: A driver with a clean driving record generally pays a lower insurance premium than someone who has been involved in accidents or serious traffic violations. Consumers that have not been insured for extended periods can be quoted higher insurance rates as well. 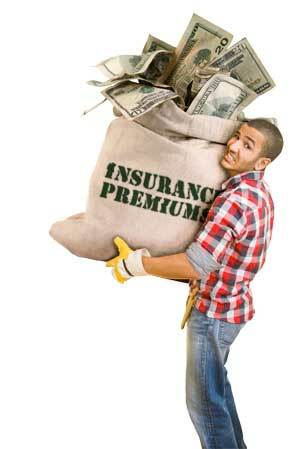 • Amount of coverage: Insurance rates increase as coverage is increased. • Car: Some cars are more expensive to insure than others, such as new cars and imports. • Number of miles driven yearly: As the number of miles driven increases, the probability of an accident increases as well. Consumers that drive lower than 10,000 miles per year usually receive lower insurance premiums. Now that you have the knowledge to make an informed decision, it’s time to compare insurance providers. It’s best to compare several companies’ monthly premium cost with the coverage that it includes. Read consumer reviews online about the quality of companies’ customer service to ensure the company is dedicated to its customers. Research companies’ response times after a claim is filed to make sure that the company is efficient, in the event that an accident should occur. Armed with the right information, shopping for auto insurance doesn’t have to be a time-consuming hassle. Choosing the right auto insurance policy is all about minimizing risk. Carefully considering all of your choices will ensure that you make the right decision for your needs.